March 21 - 25, 2019 in Castello Costaguti, near Rome. 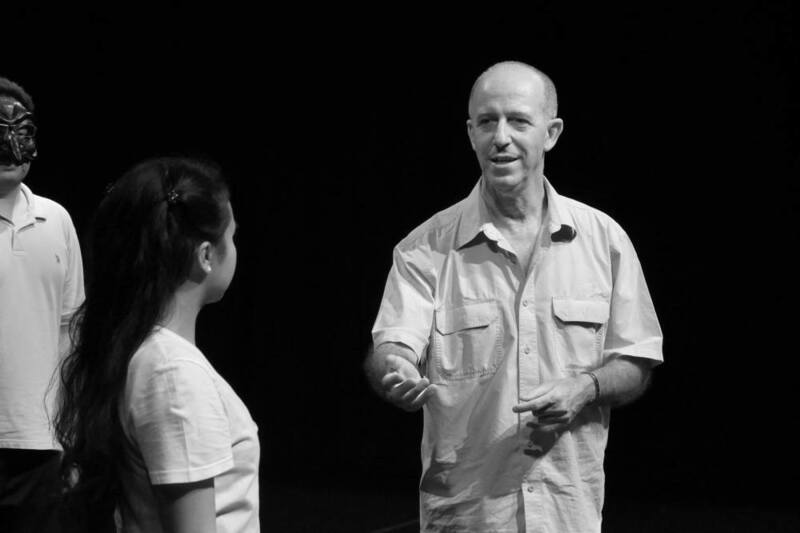 I am an Italian theatre director-actor and drama teacher who has travelled the world giving shows and workshops in Europe, Asia, America on a regular basis in the last 25 years. Since 1990 I have worked with Universities, International schools, and Drama Academies and Theatre Festivals, as well as in collaboration with Italian and foreigner institutions. In 1990, I founded Luoghi dell'Arte in Rome, and have been Artistic Director of the Company ever since. I have specialized in the productions of Commedia dell’Arte, Medieval Theatre and of plays by the Father of Italian Comedy, Carlo Goldoni. I am committed to reviving Medieval and Commedia dell’ Arte Theatre, and have won acclaims for rediscovering medieval and renaissance period manuscripts and adapting them in a modern style. Welcome to my workshop in Castello Costaguti in March 2019! the role of stock characters, the use of mask, mime techniques, improvisation, lots of humour, appealing to audiences of all ages, group work, body break out, body mastering, expressing feelings, space mastering. *As this form of theatre uses a great deal of movement and mime, language is not such an important factor, making this ideal for students who come from different language/cultural backgrounds. No prior experience is needed! At the castle we enjoy breakfast, lunch and dinner daily. Dinner is served with local wine. Accommodation in a double or a single room; the rooms are big with antique furniture and old paintings on the walls. Each room is different from the other. Wifi-connection is found in the castle. *This form of theatre originated in Italy in the 16th century and quickly spread all across Europe, playing a crucial role in the development of Western Theatre. Playwrights who have been influenced by this style include Shakespeare, Moliere and Goldoni to name a few. It is still popular today and can be found even in movies and on TV. 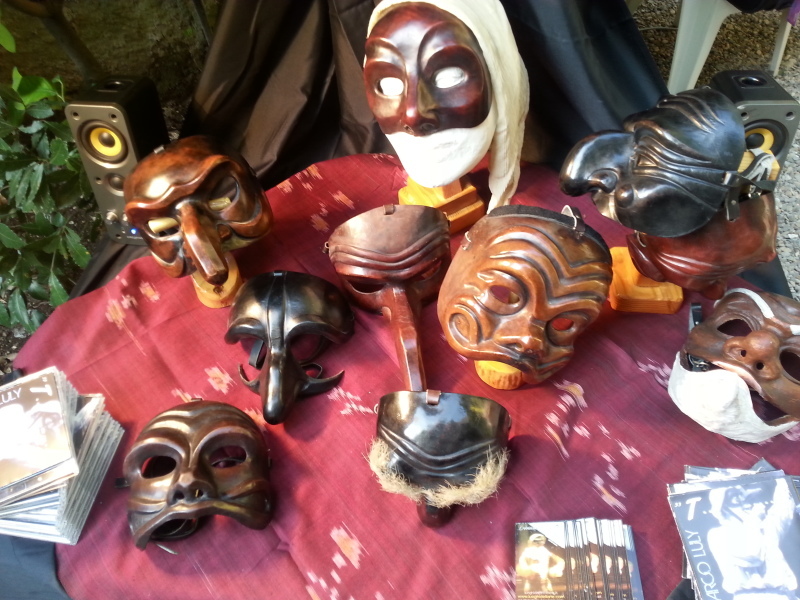 *Masks teach the actor awareness and control of movements and gestures. 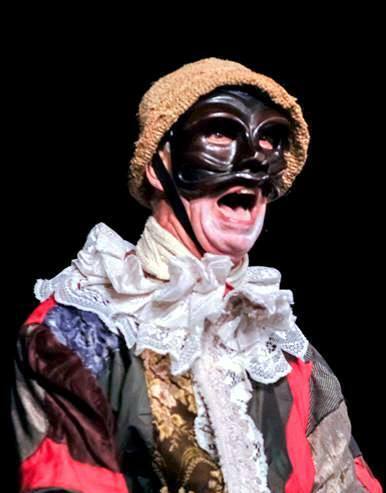 The masks compel the actor to recognize the essential gestures and avoid the superfluous ones. They propel the performer to an enhanced level of expression. They demand clarity of intent and precision in the use of gestures and voice. Upon your reservation, you will get detailed directions how to get to the castle. After finding out the arrival time of all participants, we can arrange a transfer from Rome directly to the castel with an additional fee. *Travel to the castel is not included in the price. After the reservation, the reservation fee of 200€ is due. The reservation bill you will receive by email. The rest of the workshop fee will be paid upon your arrival at the castle.